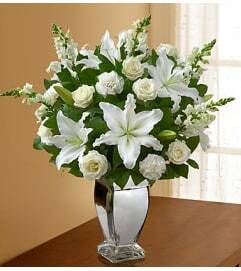 Invite the serenity and beauty of winter into their home with this hand-crafted mix of lilies, mums, carnations, and assorted evergreens. Artistically designed in a charming bird’s nest basket and accented with birch branches, pinecones and a festive bird pick. 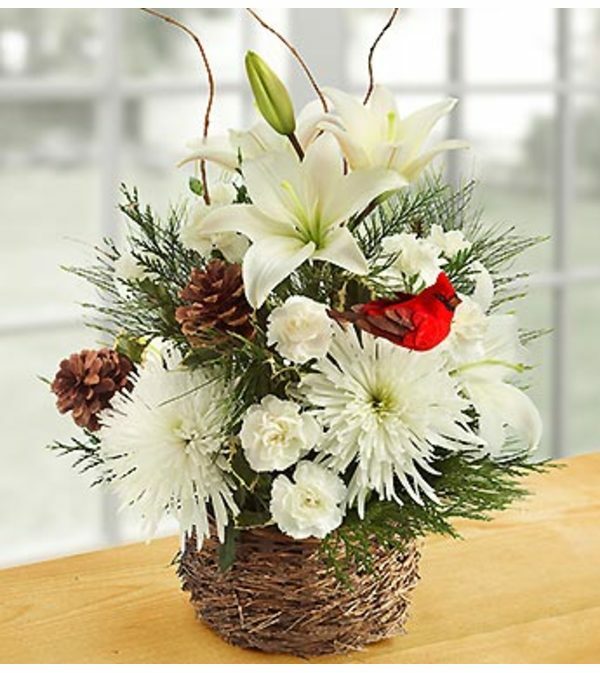 Nature-inspired arrangement of the freshest lilies, mums, mini carnations and assorted Christmas greens, beautifully accented with pinecones, birch branches and a charming bird pick.